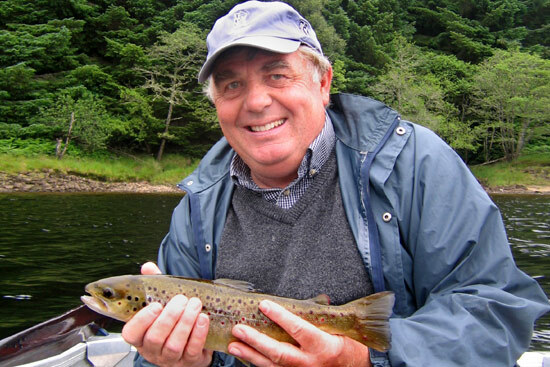 Trout fishing on the River Conon itself is largely restricted to a stretch of the lower river owned by Brahan Estate and Loch Achonachie Angling Club's waters, which include stretches of the Upper Conon and Upper Blackwater, the main tributary. 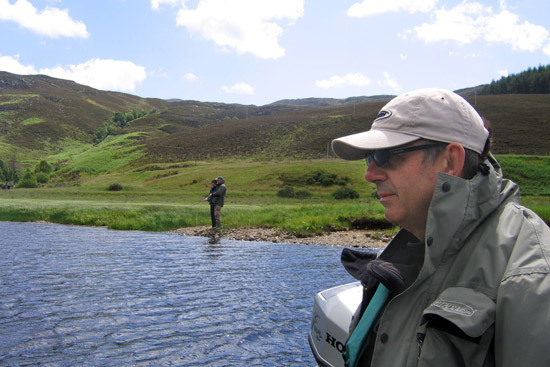 The club also offers visitors some very good trout fishing on the Strathconon lochs comprising Achonachie, Meig and Scardroy. 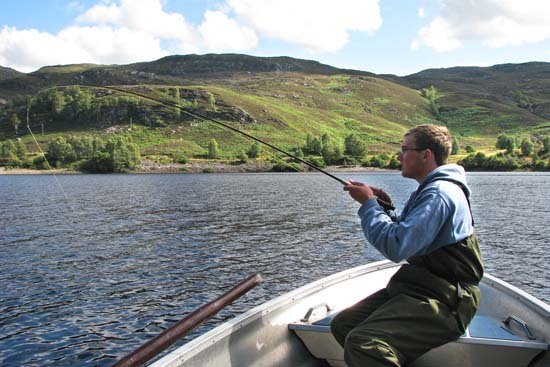 Nearby Loch Achilty is a rainbow trout fishery, and Loch Ussie predominantly a pike water. Arrangements between the Conon Syndicate (who control the salmon fishing on the Brahan beats) and Brahan Estate allow for brown trout fishing on 3 stretches of the north bank of the lower River Conon. Day tickets for trout fishing can be obtained from Brahan Estate. Loch Meig is a long, narrow reservoir lying in the River Meig valley in picturesque Strathconon. It was formed by a dam at the east end during the Conon Hydro-Electric Power Scheme development of the 1950s. It lies at an elevation of 279 ft (85m) above sea level, is approximately 1.9 miles (3 Km) in length. The fishing on Loch Meig is controlled by the Loch Achonachie Angling Club, a friendly and well-run club, who have a brown trout stocking program, so in addition to the indigenous wild brown trout stock typically ½ to ¾ lb in size, the club introduces several hundred larger brown trout each year. The season runs from 1st April to 30th September, and Sunday fishing is also permitted. Loch Achonachie is a shallow reservoir lying in the River Conon valley formed by construction of the Torr Achilty Dam at its south-east end. It lies at an elevation of 108 ft (33m) above sea level, is just over 1 mile (1.6 Km) in length. Fishing is from the bank and from 2 boats owned by the club. 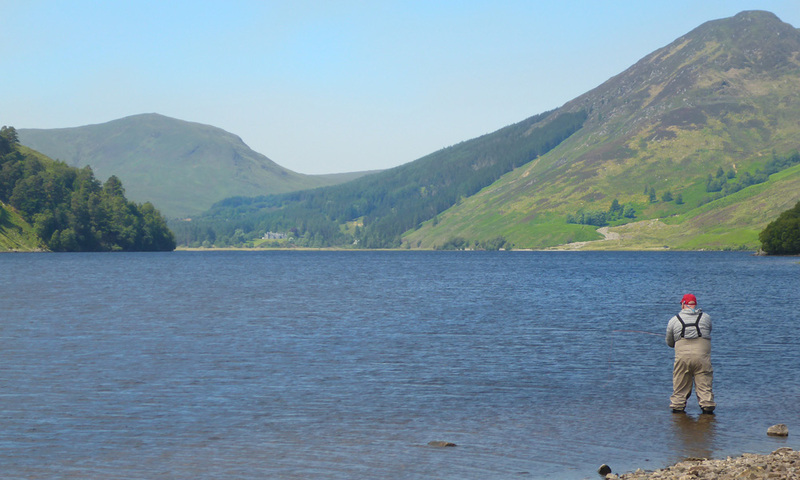 Loch Achonachie produces brown trout, salmon, pike and perch. 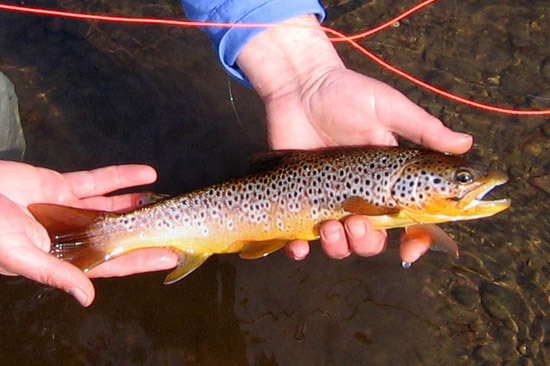 The brown trout are typically ½ to ¾ lb in size but there are also some very large ones. 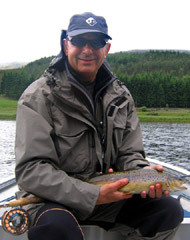 Two huge brown trout of 6½ lbs and 5½ lbs were caught by a club member Alan Macdonald in 2007. From June, salmon enter the loch and they can be caught by spinning, but also on the fly - try a surface muddler. The water levels in Achonachie are subject to change very quickly when the Hydro-electric schemes are generating, so pay heed to warning signs around the loch and be particularly aware of sudden drops in water level at the west end where the Upper Conon enters the loch. Sunday fishing is NOT permitted. 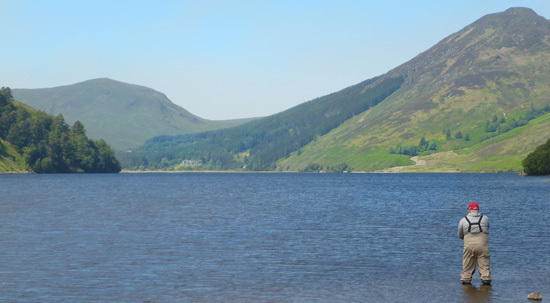 Loch Scardroy (also known as Loch Beannacharain) is a natural loch lying at the top of the River Meig valley approximately 8½ miles beyond Loch Meig. It lies at an elevation of 476 ft (145m) above sea level, is approximately 1.7 miles (2.75 Km) in length. 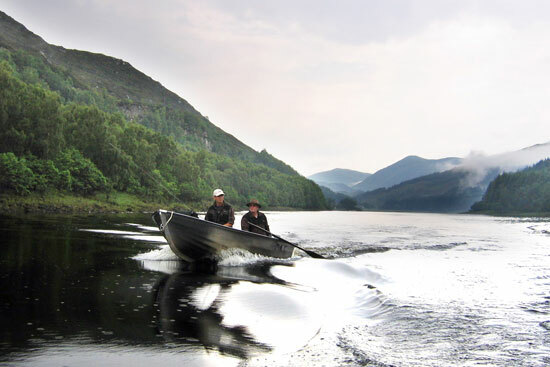 The loch reaches depths in excess of 50m, so the best boat fishing is to be expected along the margins and in the shallower bays at both ends of the loch. In addition to wild brown trout Loch Scardroy also contains Arctic char, so there are also ferox trout present. 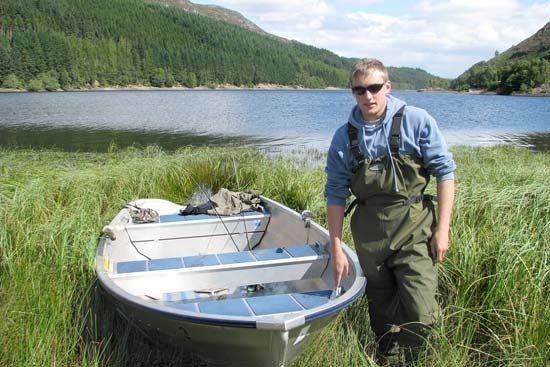 Loch Achonachie Angling Club has 2 boats available on Loch Scardroy, and bank fishing permits are also available. Fishing is permitted on Sundays. The loch opens on April 1st, and fishing can be excellent as early as opening day, though in general it tends to fish better as the season progresses and temperatures warm up. The average size of fish is about 10oz, but an average bag will also include some ¾ pounders and typically at least one at 1lb. 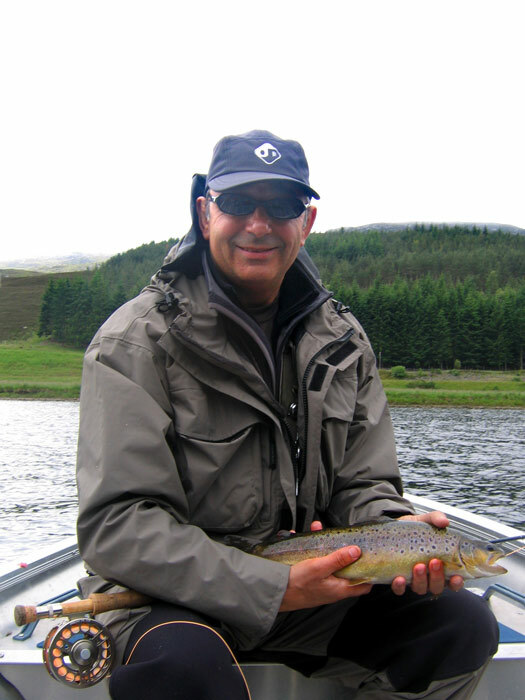 Follow TroutQuest's board showcasing trout fishing in Easter Ross.